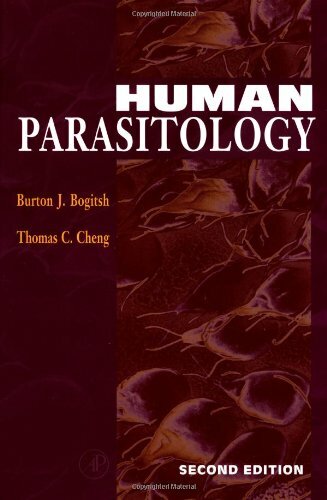 This undergraduate, upper-division text focuses on the biology of human parasites, and bridges the gap between classic clinical parasitology texts and more traditional encyclopedic treatises. Human Parasitology, Second Edition introduces various parasites and how they interact with their hosts and respond to new treatments. It presents symptomatic treatments of important parasitic organisms. The book also includes appendices dealing with various drugs and their efficacy with respect to treatment. This thoroughly updated edition contains a new chapter on opportunistic parasites that effect AIDS patients, and provides new research into emerging parasites such as Crytosporidium and Cyclopspora. The Second Edition includes more electronmicrographs, better life cycle figures, and thoroughly revised citations.